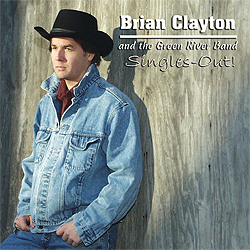 This is Country Artist BRIAN CLAYTON & THE GREEN RIVER BAND’s sophomore release. The first single “Asphalt in Arkansas” tells the story of compromise and commitment to family values. Hear for yourself why fans are raving about BRIAN CLAYTON & THE GREEN RIVER BAND.